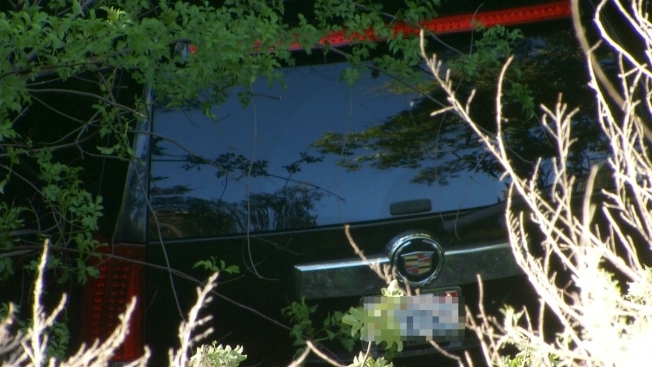 A stolen Cadillac Escalade on Sunday was found unoccupied at the bottom of a steep ravine along Metcalf Road in the southern portion of San Jose. After learning that the vehichle tumbled down a hillside, fire crews managed to navigate down to the car, Fred Mills from the San Jose Fire Department said. No one was found inside and no one was found to be in the surrounding area. Police ran the car's license plate and vehicle identification numbers, and they found that the Escalade was stolen roughly 24 hours before it was found, Mills said. Crews will focus on fishing the car from the ravine before returning it to the rightful owner, according to Mills.